I'm a very visually oriented person, even before I became a photographer. Admittedly, the physical appearance and design of a product carries quite a bit of weight in my decision making. When perusing the grocery store, I gravitate towards the products with the best branding. 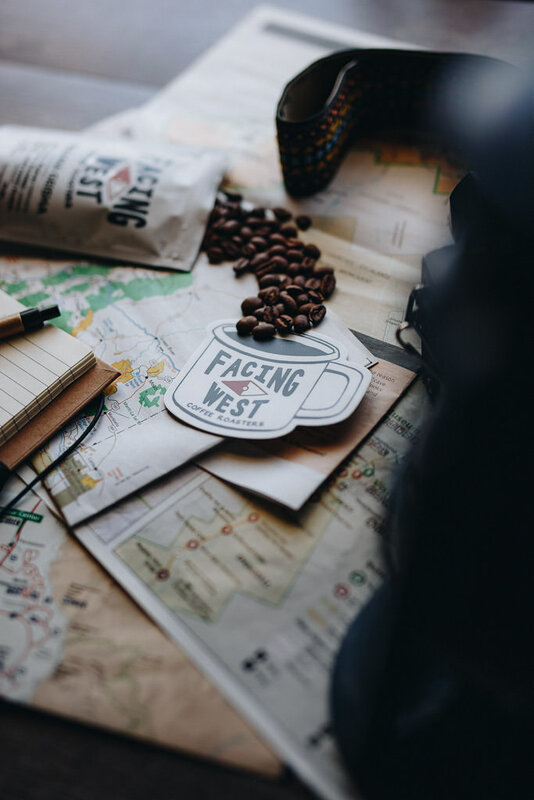 Facing West Coffee's branding, designed by Tanner Barkin in Denver, immediately drew me in. I reached out to John with Facing West on Instagram and he generously sent me some of his coffee to try out. Facing West ships their limited number of rotating premium roasts within 24 hours of microroasting each order. The shipping time gives the coffee ample time to rest, ensuring you get the best and freshest coffee possible. They source from the highest quality premium microlot coffees rated by the SCAA. 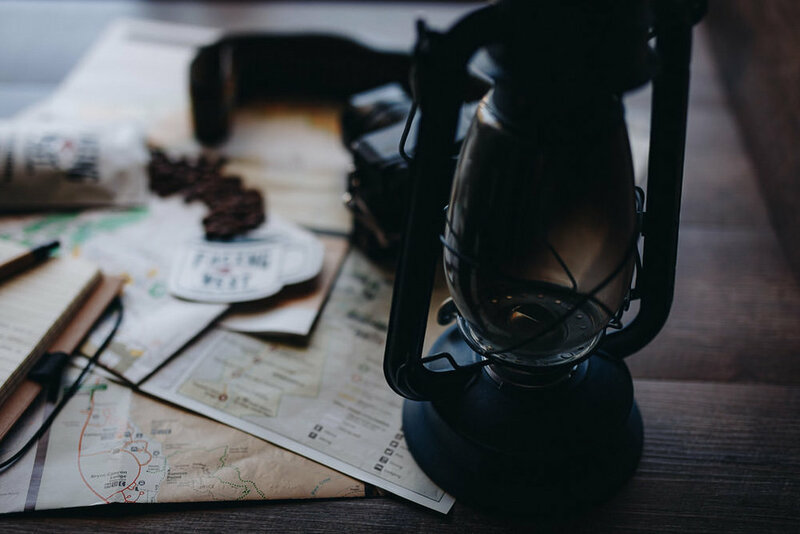 At the time of this writing, their selection included coffees from Ethiopia, Panama, Nicaragua, and Colombia. John shipped me a sample of his Ethiopia and a coveted Geisha varietal from Panama. Whole bean, this coffee gave off a dry reed-like aroma with a hint of honey. After grinding, the aromas picked up a layer of citrus, reminding me of lemongrass. The bloom and brewing brought citrus notes forward as notes of apricot surfaced with that same honey sweetness from before. This coffee possessed a light tea-like body with notes of apricot and bergamot that settled into a soothing lemon tea. This rare and exclusive varietal began somewhere close to the town of Gesha in remote western Ethiopia. The cherries circulated through Kenya, Uganda and Tanzania before finding a home away from home in Panama. The varietal made it's big debut to the modern coffee scene after one took the 2004 Best of Panama. Geishas world renowned floral and sweet attributes and fickle growing conditions mean the varietal fetches high prices. I had heard so much hype surrounding Geisha's that I honestly didn't know what to expect, and it blew my mind! I brewed this coffee as pour over at a 1:16 ratio, 14g coffee to 224g water at 200°F. Opening the bag for the first time, I immediately noticed a strong blueberry muffin aroma. Ground it took on the aroma of a strawberry tart while the bloom and brew reminded me of a field of wildflowers. I hadn't even finished brewing and I was already so stoked to taste this rare coffee, so far it lived up to the hype. My first sip elicited an involuntary, audible response as the explosion of fresh strawberries hit my palate. It quickly tempered into a mix of dried fruits. It was bright, with a juicy mouthfeel and lasting strawberry notes that pleasantly clung to the back of the jaw. As it cooled, the explosive strawberries mellowed as an almost buttery flavor surfaced, again reminding me of a muffin. As pompous as I'm sure that sounded, I'm not making any of this up. Typically, when I taste coffee, it takes me a couple of tries to nail down my flavor associations. This is the first coffee I've ever experienced with such strong flavor associations. I dare to say even to the most untrained palate could experience something distinctly unique with this coffee. John Greco has done an amazing job with Facing West Coffee. Take a minute to peruse his coffee offerings, he offers even more in depth tastings and the stories behind his selections. Based on this sampling, I have full confidence you will enjoy every bit of coffee he sends out to you! If you have any comments or questions, drop them in the comments below! Do you know of a coffee roaster I should try? Shoot me an email, I'd love to hear about them! As always, thanks for reading!